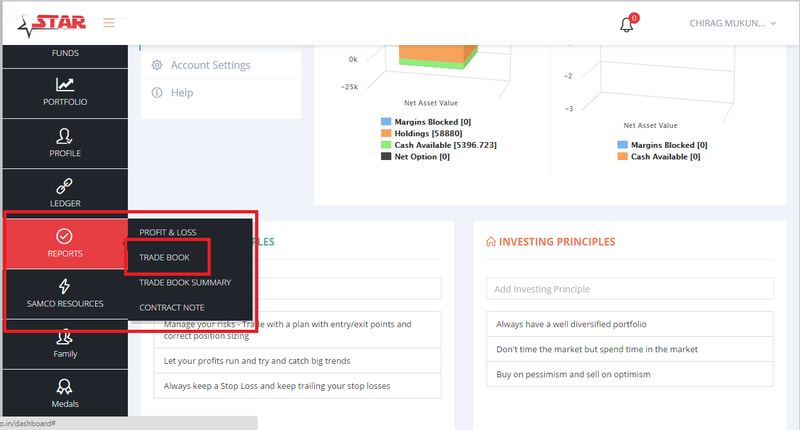 Home/Trading Platforms/SAMCO STAR/How to check your past historical trades with SAMCO? How to check your past historical trades with SAMCO? This article will demonstrate how you can check you trade history. 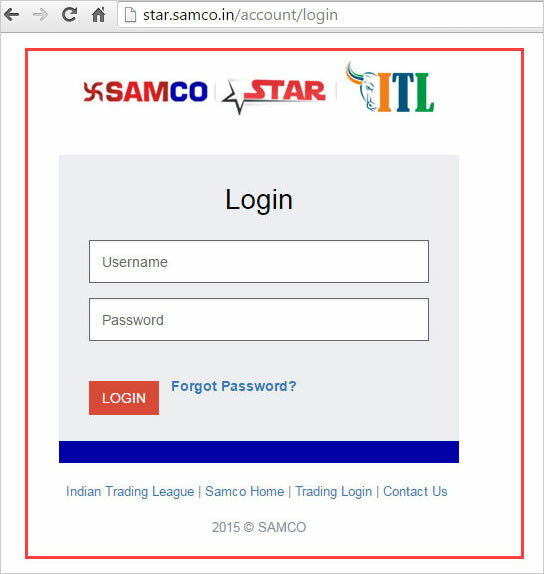 Historical trades, All your contract notes, etc, everything is available in your Star SAMCO Back office. Under “Segment” option you can select a particular segment you want to see the historical trades for. 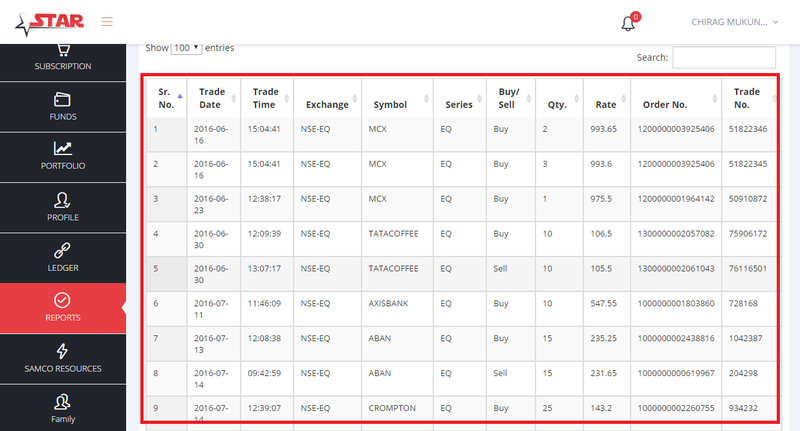 For example select “NSE EQ” under “ALL EQ” option to check trades you have made in the past on the NSE. Similarly all the segments and exchanges are listed in this sub menu under “Segment” Option. Example: to check all your historical trades made in NFO Nifty Options type” NIFTY” in the symbol search bar or if you want to check all your historical trades made in Sun Pharma search Script code “SUNPHARMA” in symbol search option. Select the financial year you want to check the historical trader for. Post selection the respective options click on “Show”. clicking on show will pop up the list of all the historical trades under the selected options. Note that his output is the list of all your trades. The unique parameter in this report is Trade Number. In other words sriptwise cost including brokerage + other charges minus selling price+ brokerage &other charges resulting into net profit or loss in a proper format so as to assess the result of all the transactions progressively in particular scripts. o.k.